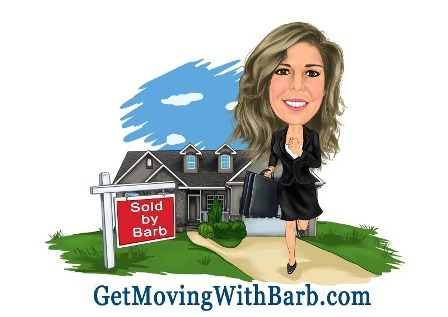 In the last year or so I've encountered a few people interested in buying and/or selling who were not sure if I could help them in the purchase of a home because a home they were interested in was listed with a different company than the one I work for. Years ago, if you were working with an agent from ABC Real Estate, you could only choose a home that was listed by ABC Real Estate. If you found a home listed by XYZ Realty, you'd have to use one of their agents. There was no "Broker Cooperation". When brokers started cooperating becuase it would better serve their client's, both buyers and sellers, the Multiple Listing Service (MLS) was launched. It used to be telephone book like directories of all homes on the market, the books were updated probably about every 2 weeks. Thank goodness for technology, now we log in and get real time information on all the area homes for sale and rent, and even commercial properties. When I open my MLS service every morning, I have access to thousands of homes in the area listed by all the area agents and brokerage companies. All those listings are available to me, as an agent, if I happen to have a buyer or tenant who is looking for that type of home. Because I've encountered some folks who were not aware of how this all works, I've written a very brief and general description of broker cooperation below. If you are a seller: A listing agreement is signed between you, the Seller, and me, the Agent to market your property. The home is then listed publicly on our Multiple Listing Service (MLS). At that time, ANY agent licensed in the state from ANY Brokerage company can represent a buyer for your home. In other words, we all cooperate. I list your home through my Re/Max Brokerage and any licensed agent from XYZ Realty can bring their buyer through, make an offer to buy your home. The other agent from XYZ Realty and myself work together through the transaction to handle all the details necessary to get us to the closing table. Throughout, I represent you, the seller, and your best interests, and Jane Doe of XYZ represents her buyer. The seller, in almost all cases pays the commission at closing, then I share the commission with the cooperating agent, in almost all cases it's split evenly. If you are the Buyer: Conversely, If I represent you, as the buyer, any home for sale that you see as you are driving around, regardless of the sign in the yard, or any home you see on the most popular real estate websites, would be available for us to see and, if you choose, make an offer to purchase. As the buyer, you get my representation for free in almost all cases (very few and rare exceptions exist). As your buyer's agent, I will receive payment at closing from the commission paid by the seller to her agent, however I represent your best interests throughout the transaction. If your are a renter or Landlord: The same scenario applies if you are shopping for a place to rent, or if you have a home you want to rent out. Landlord's agent lists the home for rent on the MLS, and any agent from any brokerage (as long as they are licensed in good standing), can show the property and make an offer to rent. The agents run the necessary credit & background checks, prepare the leases and collect the security deposit & 1st month's rent. The landlord typically (however, all commissions are negotiable) pays an amount equal to 1 month's rent and the two cooperating agents split that fee. *An agent can represent both the buyer and seller in a transaction, but it requires specific written acceptance of both parties. It's known as Dual Agency and should be discussed with your agent prior to entering into that type of transaction.